A .270 Win should be considered the minimum calibre for most medium-sized plains game species and works well when hunting certain cats. With good shot placement, the .270 has proven to be a good choice. Various 7mm’s including the 7mm Mag, 7mm Ultra Mag, 7 X 57 Mauser and the 30-06 Springfield are extremely popular with the 300 Win Mag an excellent all-round choice, especially for areas where long shots may be necessary. 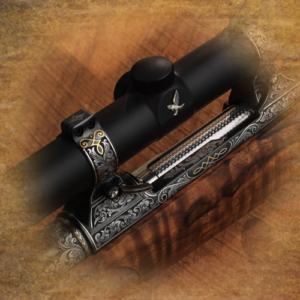 The above-mentioned calibres are only examples of calibres that have a good reputation, but it remains a fact that bringing a rifle that you shoot well with and are comfortable handling will serve you best in the African bush. The .375 calibre is the minimum prescribed calibre by law in most African countries for the hunting of dangerous game and is also the most common. For the hunter coming to Africa to pursue plains game, bring a rifle that you are completely familiar with and comfortable shooting. There are many fine bullets are on the market today. As a general rule, premium quality, heavy calibre bullets are your best choice for African game species. 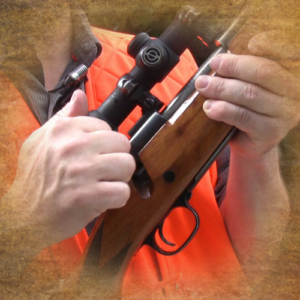 Rifles should be sighted in at 25 yards using a solid bench rest. 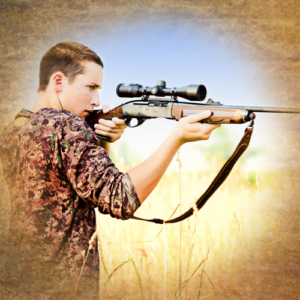 Once your rifle is sighted in, you should practice off shooting sticks, out of the shoulder and various other positions. 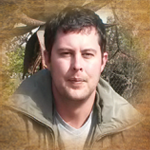 Even the most experienced hunter needs to practice his skills with the rifle. 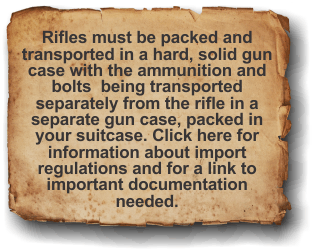 Ammunition is cheap compared to the cost of the safari, so for the animals sake and your own, please practice! 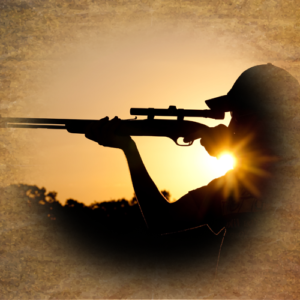 If you want to find out more about our rifle hunting options we have available. Please fill the form below and we will get back to you.